a) SONY's KHM-23AAA transporter and newest SACD decoder. 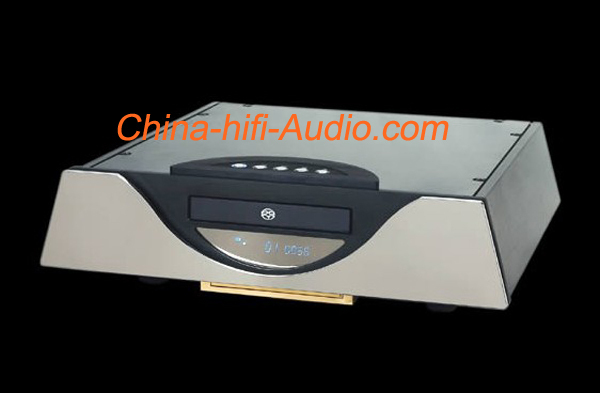 b) Philip's advanced optical-coupling detecting system to ensure fast and accurate data reading from SACD and CD discs. c) Burr-Brown PCM1738 D/A converting IC chip and special I/V converting IC processor.Fully independent circuits for the signal filtering and output, made by strictly selected and paired components. d) JungSon famous Class-A power supply circuits and JungSon's unique Type U high-precision transformer.Elegant aluminum alloy case with anti-shock and magnetic sheath functions, improving the stability of CD data readings. Its unique, contemporary and patented appearance will impress you very much at the first glance.